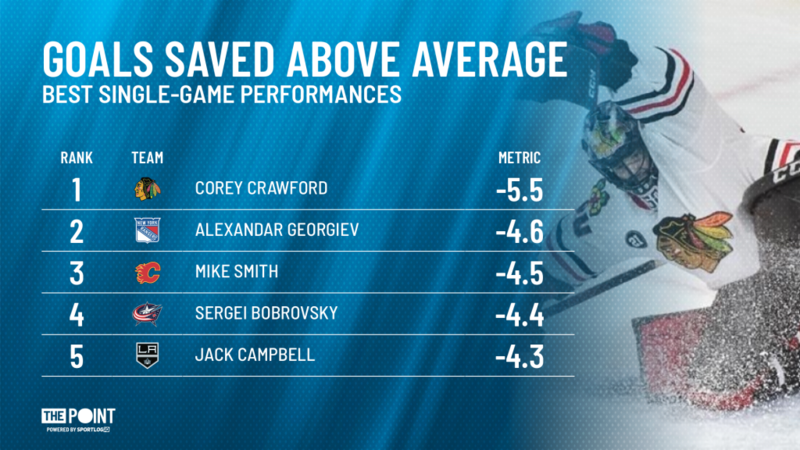 Weekend Warrior: Corey Crawford - The Point Data-driven hockey storytelling that gets right to the point. Every Monday, we celebrate the player who had the best performance on Saturday or Sunday with our Weekend Warrior award. As usual, there were a number of noteworthy performances. It was a big weekend for players named Alex, as Killorn notched a hat trick, Nylander recorded the first multi-point game of his career, and both Ovechkin and Galchenyuk found the back of the net twice, but ultimately, it wasn’t enough to upend this week’s winner, Corey Crawford. 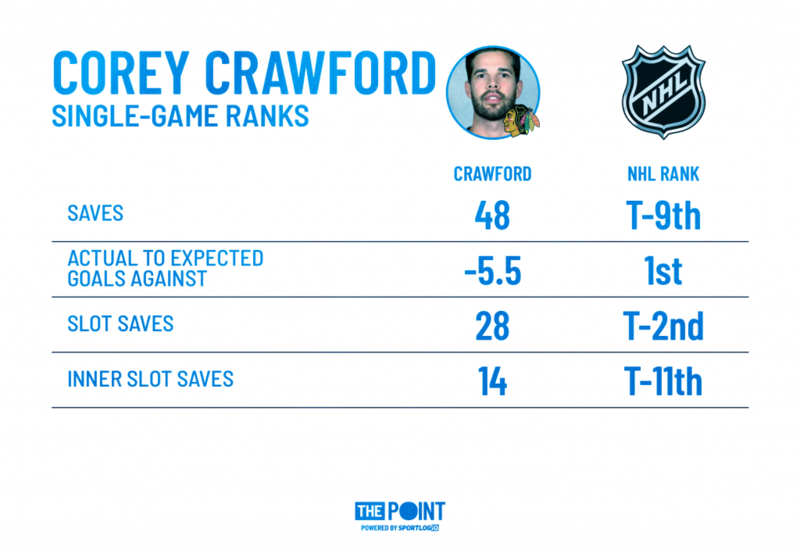 Crawford put up arguably the best goaltending display we’ve seen all season in a 48-save shutout against the Habs, but his save total alone doesn’t do him justice. Crawford was a brick wall against the Canadiens, with more than half of his saves coming on slot shots and almost 1/3 coming from the inner slot, including this highlight-reel save on Artturi Lehkonen. He also tied the franchise record for most saves in a shutout with 48, matching Dave Dryden’s mark, established in 1969. But most impressive of all is his actual to expected goals mark of -5.5, meaning he saved over 5 goals for his team, relative to league average goaltending. It was the best single-game mark of the season and it isn’t even close. 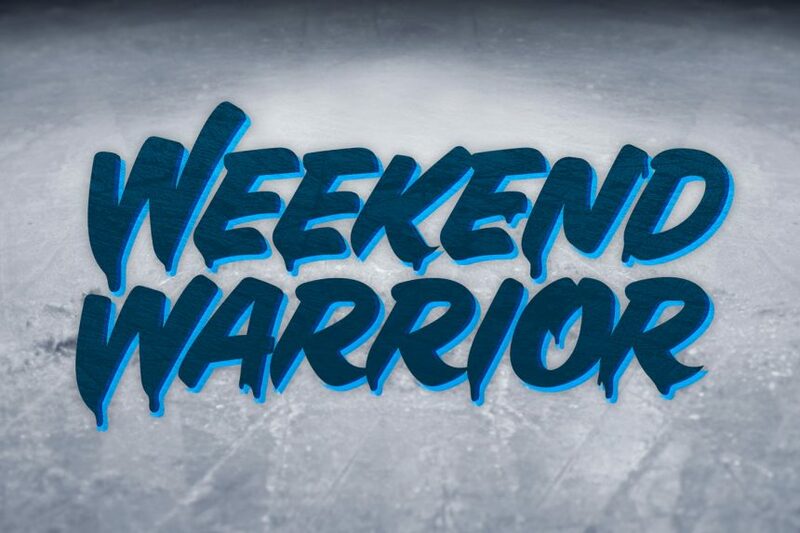 With a franchise record, a league-best performance and a shutout win all at once, there is no doubt that Corey Crawford deserves to be our latest Weekend Warrior.